KAMPALA, UGANDA — An upcoming summit of the African Union will debate the possible exit of some African countries from the International Criminal Court, Uganda's deputy foreign minister said Tuesday as the trial of Kenya's deputy president proceeded at The Hague. Okello Oryem said that Uganda, whose president has questioned the ICC's credibility, would be compelled to quit the Rome Statute that created the court if a "summit-level" recommendation is made in solidarity with the leaders of Kenya who face criminal charges at The Hague over their alleged roles in post-election violence that killed more than 1,000 people in 2007-08. They face charges of crimes against humanity, which they deny having committed. The ICC has come under strong criticism from some African leaders who say it disproportionately targets Africans. The international court has indicted only Africans so far. Oryem cited concerns about the credibility of the witnesses in the trials of Kenyan President Uhuru Kenyatta and his deputy, William Ruto. He said Ugandan President Yoweri Museveni "is doing everything possible" to stop the criminal trials in Europe of Kenya's leaders. An African Union summit next month in Addis Ababa, Ethiopia, "will decide this matter" of a possible mass exit from the ICC, he said. At Kenyatta's inauguration earlier this year, Museveni gave a speech in which he accused the ICC of being biased against Africans. His criticism of the ICC surprised many in Uganda, where Museveni once was seen as a strong supporter of the international court after he backed its charges against the fugitive warlord Joseph Kony and his top commanders. But Museveni has accused the ICC of what he calls "arrogance" in its handling of Kenya's post-election violence case. "I was one of those that supported the ICC because I abhor impunity," he said in April in Nairobi, Kenya's capital. "However, the usual opinionated and arrogant actors using their careless analysis have distorted the purpose of that institution. They are now using it to install leaders of their choice in Africa and eliminate the ones they do not like." Kenyatta and Ruto have both pledged to continue cooperating with the ICC, even though Kenya's parliament recently voted to withdraw from the ICC. Ruto's trial is under way and Kenyatta's is scheduled to start in November. Thirty-four African countries, including Nigeria and South Africa, have signed the Rome Statute. When an African Union summit in May urged the United Nations to transfer trials of Kenya's leaders to Kenya, Ethiopian Prime Minister Hailemariam Desalegn said the ICC prosecutions "have degenerated into some kind of race hunt" of Africans. "We object to that," he said. Amnesty International said recently that Kenya's exit from the ICC would "set a dangerous precedent for the future of justice in Africa." A mass exit of African countries from the ICC "would weaken its political and practical ability to seek justice for victims of atrocity," said David Crane, a law professor at Syracuse University in the U.S.
Odula reported from Nairobi, Kenya. Kenya quitting ICC: Will it have a domino effect? The debate about the International Criminal Court has been very intense and divisive in Kenya for the last three years. Before the former ICC prosecutor, Luis Moreno Ocampo, invoked his powers in article 15 of the Rome Statute to the ICC to commence investigations in Kenya, very few Africans, and particularly Kenyans, knew the existence of such a court, but very few understand the working of the court and the politics and diplomacy dynamics that surround the court. Should Kenya pull out of the Rome Statue that established the International Criminal Court? Is ICC another pseudo-neo-colonial entity used by tormentors against Africa having all 18 cases at Hague from Africa? Can ICC deliver justice? What is the fate of the victims? In Uganda, Kenya, Sudan, Ivory Coast and in countries where ICC fears to investigate leaders like Syria, USA and Egypt? Some argue that countries that are not signatory to ICC, what would happen to leaders in those countries who commit crimes and are set free? For example those who were involved in Iraq on pretence of weapons of mass destruction? Can NGO’s write a report on Iraq’s mass destruction? The answer is a big NO, because those countries are babysitters of NGO’s. On September 5, 2013, the National Assembly of Kenya was recalled from recess for a special sitting to debate the ICC. The senate also held a special sitting on September 10, 2013. Watching the debate one would confirm that few understand the operations of the court. Therefore it is important for us to appreciate that the withdrawal may not necessarily solve the challenges Africa has, after all Parliament in Kenya failed to approve a Bill to create a local tribunal and the comment was; don’t be vague let us go to Hague since Uhuru, Ruto and Sang have all cooperated with the court since trials began, my argument would be to continue searching for justice at Hague like Maj. Gen. Ali Muhammed- former commissioner of police, Dr. Kosgei- chairman Orange Democratic Movement (ODM) and Moses Mathaura former head of civil service, who were all acquitted by the same court. Withdrawing may not be a bad idea but the process may be hectic, starting with Article 2 of the Kenyan constitution and the United Nations, the argument that United States of America withdrew might be a dilemma, even after withdrawal, Kenya could still find itself caught up in Labyrinth of the jurisdiction of the ICC for the crimes committed on the Kenyan soil. This is because under Article 13 of the Rome Statue, the jurisdiction of ICC could be properly invoked through a referral of a situation to the Office of the Prosecutor (OTP) by the UN Security Council. This is the avenue through which the ICC assumed jurisdiction in Libya after France through Sarkozi and their allies killed Col. Maumuar Gadaffi and Sudan over the crimes committed in the Darfur conflict. The threat of ICC will continue to hover over the heads of Africans like the sword of Damocles even after the withdrawal unless Africa invests in the development of strong judicial institutions and an effective criminal justice system like the Gacaca in Rwanda that gives hope to victims. Sudan's President Omar al-Bashir speaks during a one-day summit in Khartoum, Sept. 3, 2013. AMSTERDAM — The International Criminal Court called on the United States on Wednesday to arrest Sudanese President Omar al-Bashir if he travels to next week's U.N. General Assembly in New York. 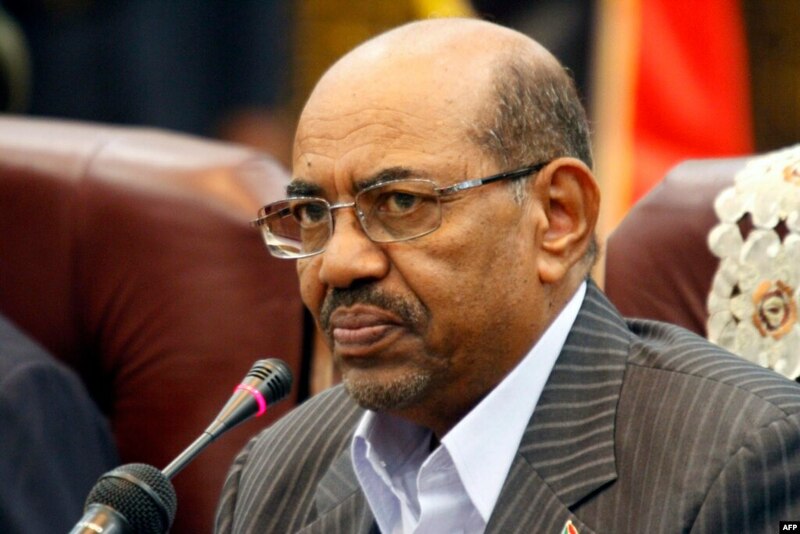 The request comes after Sudan said on Tuesday it had applied for a U.S. visa for Bashir, who is sought by the court on suspicion of masterminding war crimes in Darfur. Nonetheless, Washington has led calls for Bashir to face international justice over the bloodshed in the now decade-old conflict in the western region of Darfur and has transferred suspects to the ICC before. The world's permanent war crimes court “invited the competent U.S. authorities to arrest Omar al-Bashir and surrender him to the court, in the event he enters their territory”. 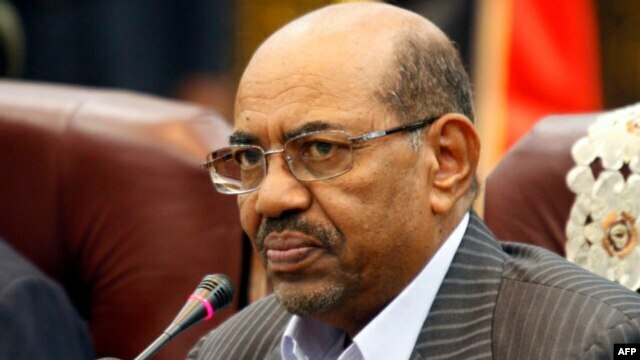 The ICC said it had reminded Washington of two outstanding warrants for Bashir's arrest dating from 2009 and 2010 for alleged genocide, war crimes and crimes against humanity. Sudan dismisses the ICC charges, says reports of mass killings in Darfur have been exaggerated, and refuses to recognize the court which it says is part of a Western plot against it. 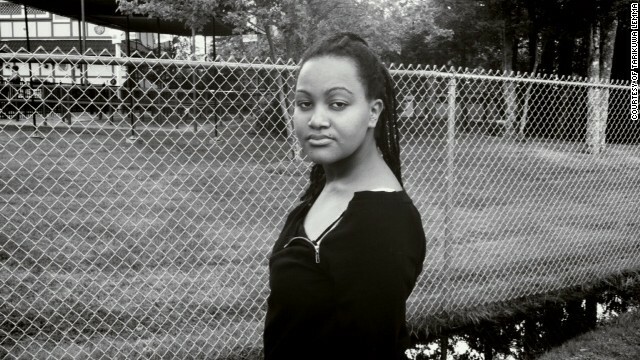 Tarikuwa Lemma was taken from her family in Ethiopia on a promised "study trip" to the United States. Inside a few weeks, it became clear her family had been misled about her American "adoption"
Lemma: "All the lies and deception comes down to money"
Editor's note: Tarikuwa Lemma, 19, was "adopted" from Ethiopia seven years ago by a U.S. family along with her two younger sisters after being deceived that they were headed to America on a study trip. She now lives in Maine and has just entered college with the goal of becoming a human rights advocate. (CNN) -- When I was 13, I was sold. Friends of my father worked for a corrupt adoption agency operating in my homeland of Ethiopia -- friends my father trusted. In 2006 they coerced him into believing he was sending my younger sisters and me to America for an educational program during which we would come home every summer and on school breaks. Little did my father know that his "friends" were being paid to recruit children for an American adoption agency. In fact, he didn't even know what "adoption" meant. Instead of an educational program, we found ourselves caught up in an international adoption scandal. We weren't the only ones lied to. The family who adopted us, who lived in the southwestern United States, were told that they were taking into their family three AIDS orphans, the oldest of whom was nine years old. The truth was that our mother had died from complications during childbirth, and our father was alive and well. Instead of nine, I was 13 years old; my sisters were 11 and six. Our new "parents" changed our names and told us we could no longer speak to each other in our own languages; we were punished if we disobeyed. Eventually, we forgot how to speak our native languages, Amarigna and Wolaytta. I was so young and naïve. I actually believed that if I ran away, I could walk back to Ethiopia. I was so young and naïve. I actually believed that if I ran away, I could walk back to Ethiopia. I wanted to escape from the people I felt had kidnapped us from our homeland, our culture, and our family. I was angry, hurt and grieving. After eight months, I was "re-homed," without my sisters, to live with my adoptive mother's parents in the Midwest. I have only seen my sisters a handful of times since. Living in the Midwest was difficult. I had been taken from my family in Ethiopia, and then separated from my sisters. But instead of getting caught up in my depression, I threw myself into finding ways to let the world know the hard truths about corruption in international adoption. My second adoption placement did not work out either, and at 18, while still in high school, I found myself staying on a friend's floor. A family in Maine, who I met through adoption reform work, offered to take me in. So I moved my few possessions and myself across the country again. Supporters of international adoption frequently mention the enormous numbers of orphans in the world -- UNICEF estimates there are 151 million orphans. What most people don't realize is that when the United Nations determines the figures for orphans, they include children who have lost just one parent (the U.N. estimates only 18 million have lost both parents). I assure you that I did not consider myself an orphan. My sisters and I had a father, a brother and older sisters, plus a large extended family that cared for us and loved us. We were middle class by Ethiopian standards, not poor. We, and many other adoptees like us, should never have been placed for adoption. Had my father's friends not made money from the placement of my sisters and me for adoption, none of this ever would have happened. All the lies and deception comes down to money. I have discovered since my adoption, the price paid by adoptive parents is exorbitant and feeds the corruption. Had my father's friends not made money from the placement of my sisters and me for adoption, none of this ever would have happened. They were basically paid to create orphans. Depending upon the country, an adoption can cost upwards of $50,000. Imagine what that kind of money could do to help struggling families in developing nations keep their children! Adding the horror of being sold for profit, I now know that parents pay far more to adopt a white child than an African-American child. A 2010 study by Caltech, the London School of Economics, and New York University showed that parents are willing to pay an average of $38,000 more for a non-African American baby. Let me call that what it is: Racism. In spite of everything I have suffered, I am determined to make something good out of my life. I just started college and I am writing a book about my experiences. I am fighting to change the way adoption agencies do business. I am fighting to make sure that families and adoptive families know the truth about the possibilities of fraud and human trafficking in adoption. I am fighting to make sure that no other child will have to endure what I have been through. And I am saving up money so that I can reunite with my family in Ethiopia, whom I haven't seen for seven years. And I went to court and got my real name back.